By any reasonable definition, eugenics never disappeared, and recently it has revived. Eugenics.Wasn’t it immoral, a pseudoscience? It is often dismissed now in terms like these. 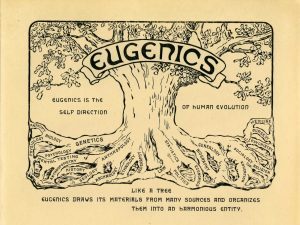 A century ago, most educated people thought of eugenics the way we think now of genetics, as a base of scientific knowledge that can make us healthier, more attractive, more efficient. It fell out of favor in the 1950s and 1960s, when the word came to be associated with Nazi forced sterilization campaigns. In fact, sterilization laws had their start in the United States, where they were pushed for a mix of Progressive and illiberal reasons. They were often but not only racist. Most of the victims came from mental institutions of various sorts. The operations were authorized and performed by physicians. It is widely known that eugenics was thought up by an eminent English scientist, Sir Francis Galton, who was willing to reason from loose data in order to have data at all. He was in no way a charlatan. His vision won the support of his cousin Charles Darwin and of most early geneticists. The mathematical field of statistics arose in part out of quantitative eugenic work by Galton himself, Karl Pearson, and R. A. Fisher. 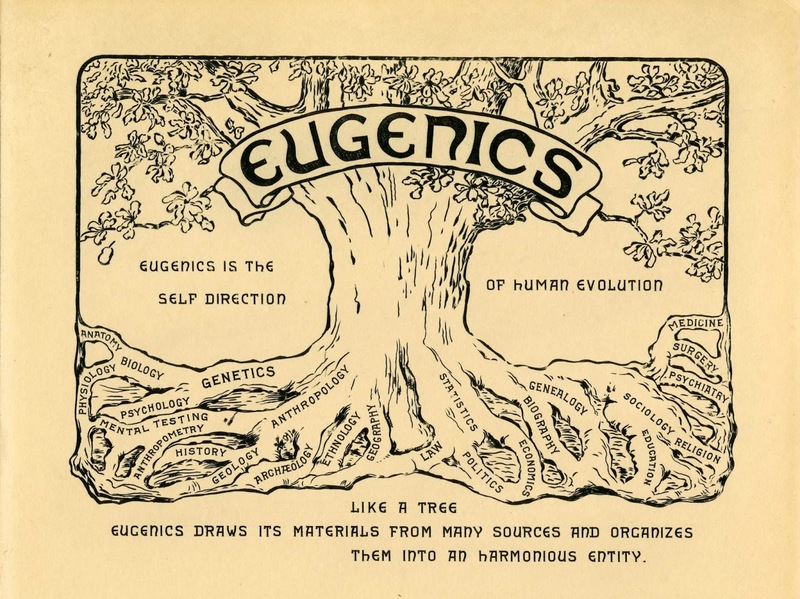 By any reasonable definition, eugenics never disappeared, and recently it has revived. Infertile couples advertise, when it is allowed, for eggs or sperm from individuals with particular traits: athletic ability, high standardized test scores, modeling experience, good eyesight. Fertility clinics create multiple eggs or edit genetic contents so parents can choose. Around 1900, when genetics was emerging as an exciting new science, human genetics was inseparable from eugenics, just as experimental genetics was linked to agricultural breeding. I am tempted to say that if genetic science itself had genes, they would be stamped with eugenic ambitions. Of course a claim like this is meaningless. Or is it? More than a decade ago, I started a historical project on the statistical side of hereditary research. That meant looking at how scientists studied the transmission of traits from ancestors to offspring without trying to match them to genes. Most human characteristics that matter, from body size to intellectual abilities and talents of all sorts, do not divide neatly between those with (the gene for) a trait and those without. 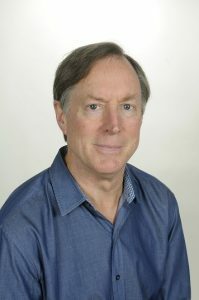 Especially in Britain, where much of this work got started, there were bitter arguments about how best to study biological heredity. Karl Pearson was a militant backer of the statistical approach, which he called biometrics. Like Galton, and like so many scientists in our own time, he defended his work as data-driven, and he labored tirelessly to collect it. 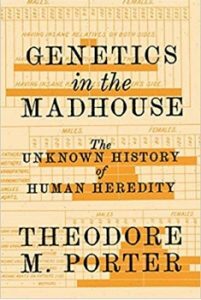 I thought it might be interesting to find out where he got his data on human heredity. Indeed, it was. I was not surprised to find that much of the data he cared most about came from mental hospitals, prisons, and schools for the so-called “feebleminded.” Of course these institutions would keep records to pass along in routine reports to their bureaucratic and political masters. But I had not anticipated how much interest these doctors and psychologists had taken in their data, and how hard they had worked to back up the information on patients, pupils, and prisoners with information on their parents, siblings, and other relatives. They were just as interested in the problem of heredity as scientists were, and in some respects their methods were better developed than those of academic biologists and statisticians. And why so intense an interest in hereditary causes of these conditions? Insane asylums had begun a period of tremendous expansion in the early nineteenth century, promising cures for this terrible disease. But instead of fading away, the number of those diagnosed insane grew by leaps and bounds. As doctors lost hope in medical treatments, they focused more and more on eugenics. Well, they never used that word. Galton coined it in 1883. But they preached relentlessly against behaviors they linked with insanity such as masturbation and drink and especially the danger of marrying into a diseased family. These asylum doctors also developed some rather credible statistical tools for charting mental illness in families and attaching numbers to the associated risks. It seems that systematic research on human heredity goes back at least half a century longer than we have recognized, and that from the start it was bound up with eugenic fears and ambitions. Little wonder that they remain with us today. The seed falls close to the tree.